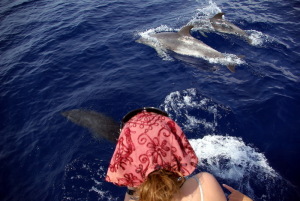 Whale watching offers a number of opportunities how to contribute to the improved protection of whales and dolphins. However, to do so a necessary prerequisite is the compliance with the principles of sustainability, i.e. the ‘use’ of marine mammals does not affect the ecological equilibrium in the long term. numbers, expenditures and expanding economic benefits, a special report from the International Fund for Animal Welfare, Yarmouth MA, USA, prepared by Economists at Large.